Writing can be difficult, especially if you are trying to write something different and that too creatively. We are going to make things easier for you by listing out top 3 writer apps. 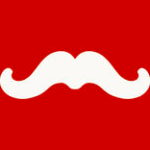 All the apps mentioned here can be downloaded using the TutuApp which is a third-party app store. Werdsmith is an app for the writers. It can be your own personal, portable writer’s studio. The app supports goals and rituals to keep you motivated. You can do instant formatting for novels and screenplays on Werdsmith. When you are done writing, you can go ahead to publish to your writer’s portfolio. Also, synch, backup and protect your writing on the Werdsmith app. iA Writer helps you to focus on writing. The app removes distractions, giving you a calm, focused writing space. The app can also help you to get structures. Write #tags to organize all your documents on this app. The app further makes everything organized by adding all your tags automatically to the library. Access all the files and features from the keyboard via quick search. Publish drafts directly to WordPress and Medium. Wired has said that this app is all about textual production. The Guardian has praised the app saying it is an example of how powerful simplicity and accessibility can be. 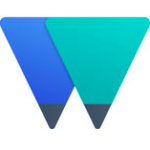 Writer – Create Docs, Sync is a collaborative word processor. You can create beautiful looking documents on this app. Work together on this document. The app can be accessed and edited even when you are offline. All your documents will be present on all your devices. All these wonderful writers app can be downloaded from TutuApp. The TutuApp houses thousands of newly launched apps and games. And it provides you a way for downloading apps and games for free. The apps are safe to be downloaded from TutuApp.